Rachel's most recent feature documentary, Knock Down the House, follows four working-class women challenging political machines across the US, and will premiere at Sundance Film Festival 2019. 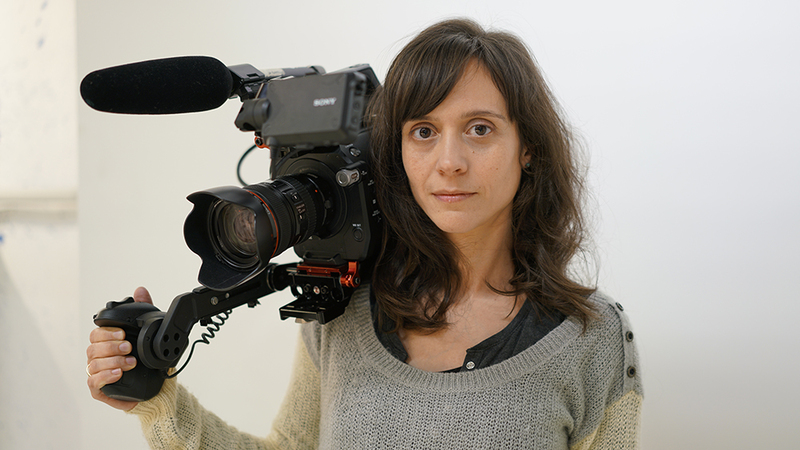 Her last feature, The Hand That Feeds (co-directed with Robin Blotnick) was nominated for an Emmy in 2017, broadcast on PBS, and won awards and recognition at Full Frame, DOC NYC, AFI Docs, and numerous other festivals on the 2014-15 circuit. Her video art collaborations with artist Saya Woolfalk have screened at numerous galleries and museums worldwide since 2008. Rachel was a 2013 Sundance Creative Producing Fellow and holds a PhD in Cultural Anthropology and a graduate certificate in Culture and Media from NYU. She’s also the mother of a two-year-old son. To see some of Rachel's prior writing, music and photography projects, click here. I fell in love with the art of documentary film because it synthesizes just about everything I care about at once. It allows me to channel early passions for analog photography and music into the improvisatory compositions of vérité digital cinematography, in which I now have over a decade of experience. Observational shooting to me is about being able to walk into any situation, gauge what the story is, and get a full range of coverage to tell the story visually in the edit, while simultaneously capturing the most emotionally charged moments and compelling images that the scene affords. It’s about movement: knowing when to gracefully guide the eye from one face or detail to the next, and when to stay still. And it’s also about listening, in order to navigate complex and sometimes sensitive interpersonal dynamics, to capture the cinematic textures of conversations and the sonic environment, and to know when to let sound guide the camera’s movement. While I am comfortable using a variety of lenses, setting up tracking shots, and lighting rooms for either naturalistic or stylized effect, I’m deeply committed to vérité cinematography as a uniquely intimate, gritty and authentic art form. As a director and producer, I love seeking out untold stories of personal transformation that touch upon larger social and political themes. My doctoral background in cultural anthropology encourages me to find beauty, depth, drama, and hope in ordinary people and everyday experiences, and to remain attentive to the ethics of working with subjects. I also enjoy thinking creatively about audiences, distribution and impact from the early stages of production on. Whether the project is a theatrical feature or a short for the web, my goal is to craft emotionally powerful stories in entertaining, thought-provoking, and beautiful ways. NETIZENS follows targets of online harassment as they confront digital abuse and strive for equality and justice online.